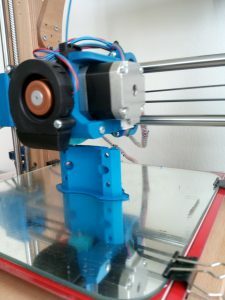 Dieser Eintrag wurde veröffentlicht in MPCNC und verschlagwortet mit 3D printed, diy, DIY CNC, MPCNC, raise d³, Z-axis improvement von bklronin. Permanenter Link zum Eintrag. 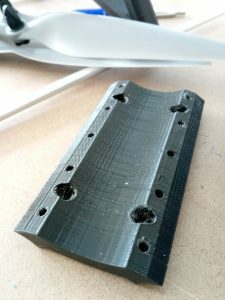 Did you use the drilling templates? 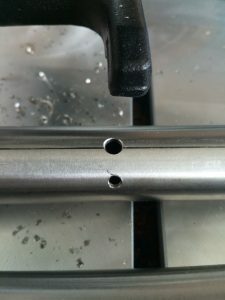 It is essential to drill both holes for each tube absolutely parallel. 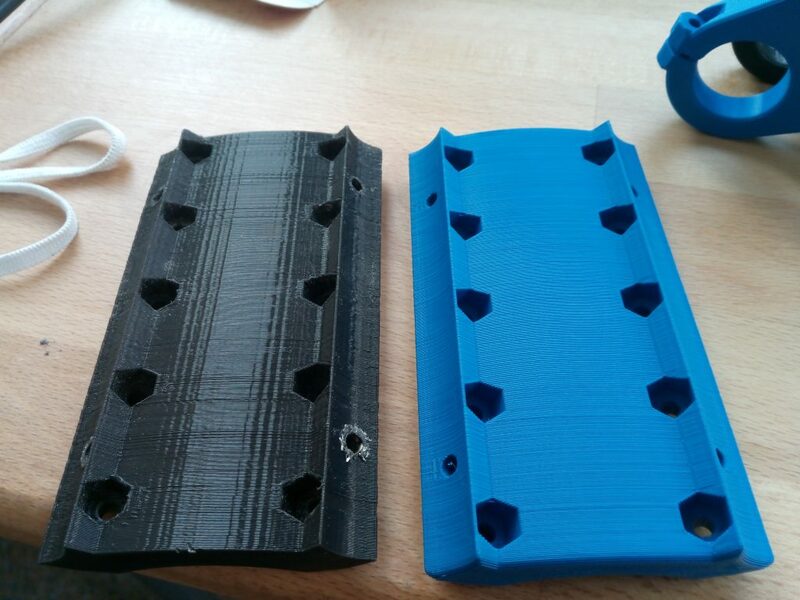 So, you start with drilling one hole (using the template), then fix the tube in the template with a matching screw, and then start the second hole. Using the template, it would even be possible to tap the threads directly in the tubes. But the method with the holder grants more variation. Hint: Fix the nuts with some adhesive tape in the nut holder, that makes life so much easier…and pull the screws tight only after both are sitting firmly in their nuts. When drilling the holes in stainless steel tubes, make sure you don’t hit the inner welding seam of the tube. Turn the tube accordingly before you start to drill. I´ve seen the templates when I looked for a nut holder suitable for 25mm- 2mm ID. I had read the instructions from ryan again and he advised to drill bigger holes for easier adjustment. 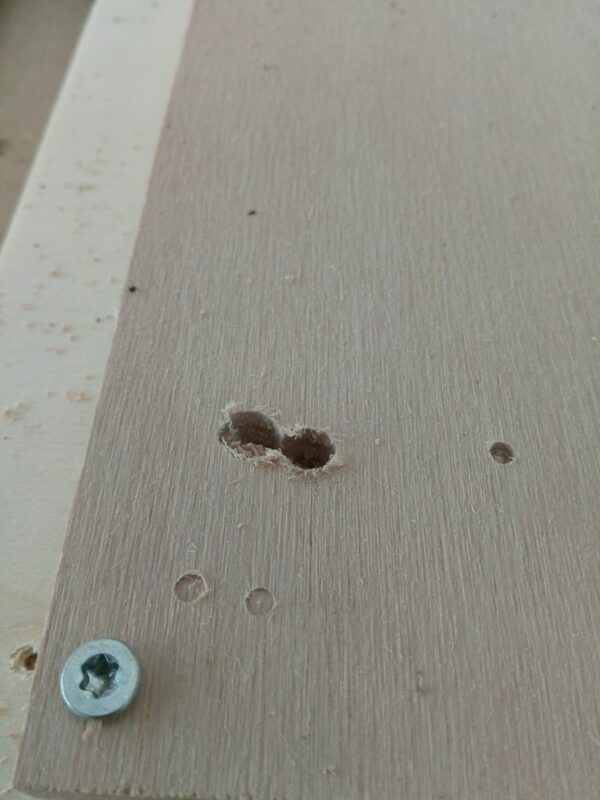 I went with 5mm and carefully marked the spot and center punshed them before drilling them on the drill press. One side came out perfect but on the other side I had slight deviations. The bigger drill hole compensated that. It was indeed difficult to get the nuts within the holder to stay where they are. The deepenings for the nuts where too large despite the customized holder. 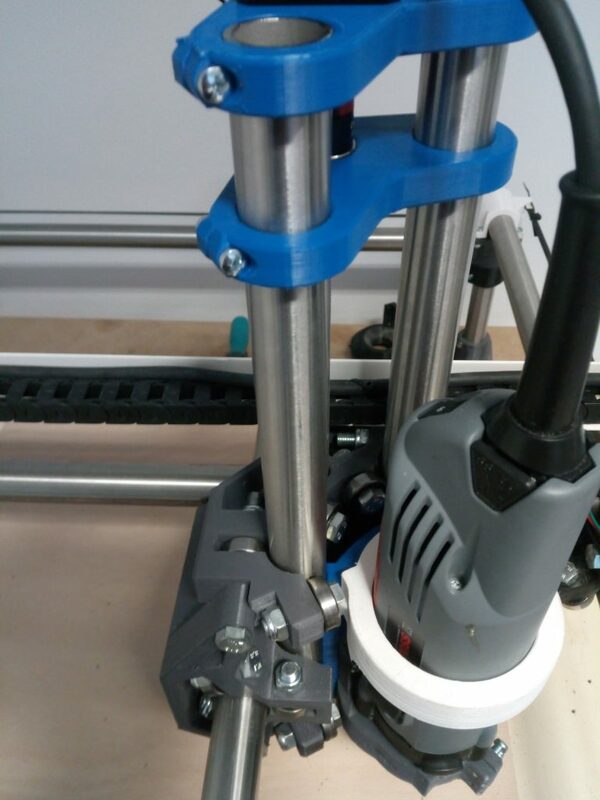 I had to weld some pla between the nut and the part until they finally resisted the force to overcome the nylock.